Apex Medical Corporation (Apex, TWSE: 4106) a leading player in the Respiratory Therapy and Pressure Area Care sectors, announced that it has successfully obtained an initial advisory opinion from the United States International Trade Commission (USITC) that its continuous positive airway pressure (CPAP)-complimentary mask product is free from patent claims previously asserted by its Australia-based competitor, ResMed. 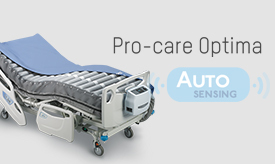 In September 2013, Apex filed a request with the USITC for the institution of an advisory opinion proceeding to declare that its newly designed sleep-disordered breathing treatment products are not covered by claims of seven ResMed patents that were raised in an earlier Section 337 investigation. ResMed opposed Apex’s request for the advisory opinion, but the company subsequently conceded that most patents were no longer in dispute except two of them. 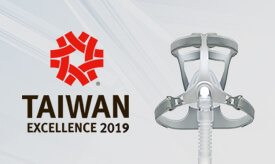 On June 3, 2014 (US time), the USITC Administrative Law Judge issued an initial advisory opinion, finding that Apex’s Wizard 220 CPAP-complimentary mask is free from ResMed’s asserted patent claims. Apex states that this initial advisory opinion is a recognition of Apex’s innovative capability and that Apex’s strategy to clear patent threats in the US market has started to take effect. The initial advisory opinion also finds that Apex’s newly designed iCH and XT humidifier tanks are covered by one of ResMed’s patents. Apex represents that it will appeal that decision to the Commission and is confident that the final advisory opinion will be in its favor. Furthermore, Apex requested for an inter partes review of the aforementioned patent and four other ResMed patents, and the United States Patent and Trademark Office (USPTO) has begun reexamining the validity of these five patents. 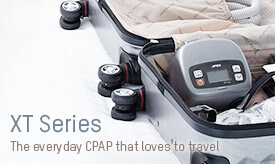 Apex stresses that it will continue to provide high quality and cost-efficient CPAP product solutions to improve the lives of patients suffering from obstructive sleep apnea. Apex further reiterates that it is determined to fight against any invalid or trivial patents that would impede the market’s access to Apex’s products, to sustain its innovative endeavors, and to keep its commitment to the customers. 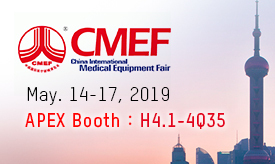 Apex Medical is a leading manufacturer of its own brand of Respiratory Therapy products and distributes through an established network of international subsidiaries and partners in Europe, the United States, Asia and other international markets. Apex specializes in product development, engineering and marketing products with a dedicated and innovative team of industry professionals. 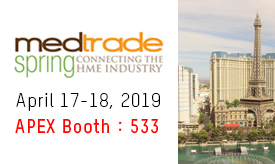 Apex aims to be a global leader in the provision of high quality healthcare products, delivering tested, trialed and clinically evaluated devices while ensuring that its own technology and intellectual property meet the demands of the Respiratory Therapy market.